EE Food (International) Sdn Bhd (1091659-U) started the Ice POP and soft jelly manufacturing business in 1994 which at that time, the Company's name was registered under Cam Cam Foodstuff Trading. During the soleproprietorship, the Company was just focusing on local market. In 1999, the Soleproprietorship has changed the status to E.E. Food Sdn Bhd (475421-A). That is when the Company ventures the business overseas and expanded the business to be foodstuff OEM as well. Since then, the Company has increased its production capacity to 2 production lines with 45 manpower which can produced up to 285,000 pcs of foodstuff per day. 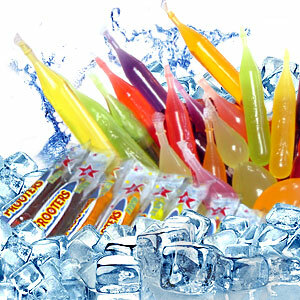 EE Food (International) Sdn Bhd is now a leading manufacturer and exporter of Ice Pop (Ice Tube), Soft Drinks and Soft Pudding in Malaysia and also the OEM for many overseas branded Ice Pop products. We have controlled the standard of quality and taste of our products. The competitive pricing has made our Ice Pop one of the most demanding choice in the local and overseas market especially countries like New Zealand, Australia, Middle East, South Africa, Canada, South America, USA, UK, Hong Kong, China and South East Asia. Our Company has worked hard to obtain Halal Certificate and ISO 9001. We have also successfully achieved 3 Star SME Competitve Rating For Enhancement from SME Corp Malaysia in 2009. We are proud to announce that E.E. Food (International) Sdn Bhd is now in the process of acquiring ISO 22000, 2005 Certification as part of the continous safety improvement of our business processes. All our products are well controlled and our management as well as specifications have been adapted into the international standard for food safetyness. We shall remain competitive in the market in many years to come and we shall continuously upgrade our technology and optimize human resources from time to time. With the support from our valued customers, our Company has grown tremedously and have successfully maintained and improved our capabilities as well as application knowledge. This is made possible through consistent staff training and interaction with customers. We also need government support and assistance in acquiring high technology machineries and training program for staff in order to cope with the demand.